I put together a review of this racket in the video below. In short, I liked this racket in the beginning, but as I hit with it more, I found the weight distribution a little strange. 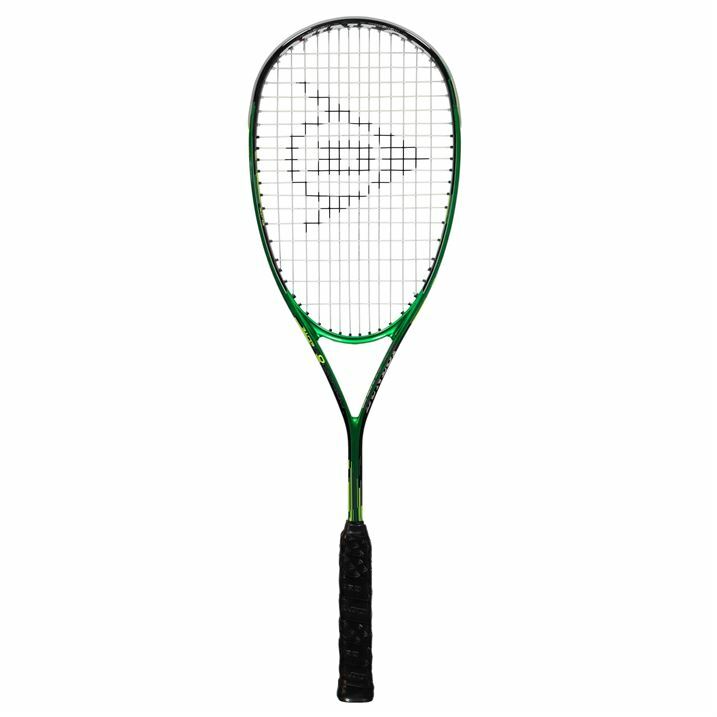 Dunlop Precision Ultimate, which is the same frame shape but has a more dense stringing pattern. 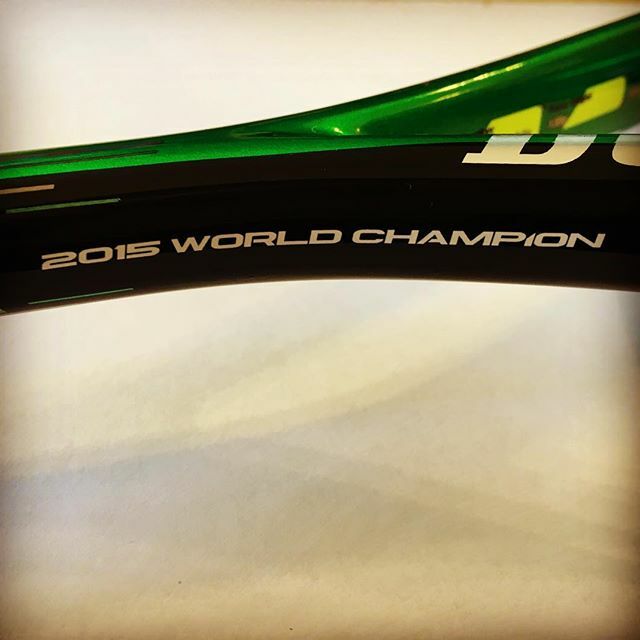 PDH Sports posted these sneak peek photos of the Dunlop Precision Elite way before it was released. 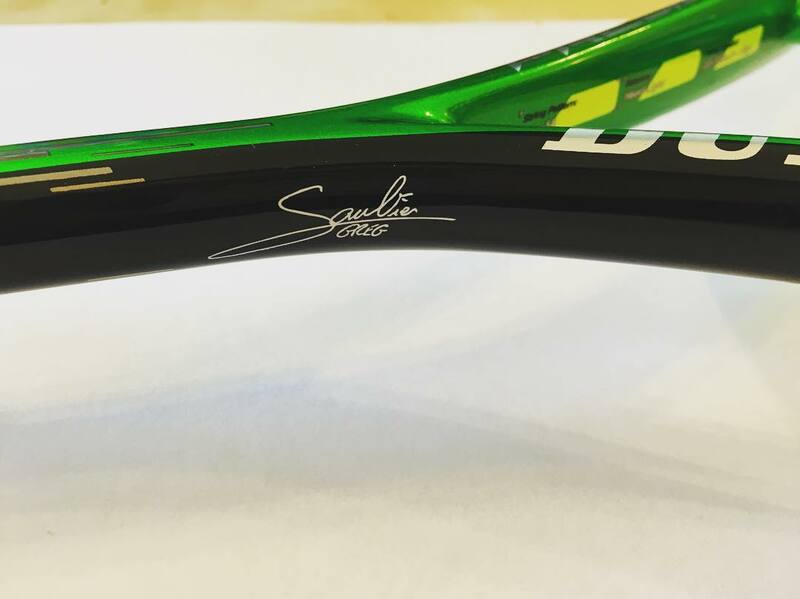 That’s Greg Gaultier’s signature, which doesn’t appear on the standard racket — so maybe Dunlop has a separate Gaultier version of the racket. Hey guys. How r u? I’m stuck between Dunlop elite and head xenon 120 SB. Did anyone have test these two and can compare and give a properly review? 1) The Elite would have a more livelier feel. 2) The Elite would have less vibration, because of the slightly thicker beam. 4) I knew the Elite would have a grip shape and size that was the same as I was used to. In general, Head rackets have a slightly bigger and more oval grip. One thing I have to tell you about the Elite : according to Dunlop, the racket should be head light. It’s not. Combined with the total racket weight, it feels quite head heavy. I had to cut the top bumper – that can be done quite easily – to give it a nice even balanced feel. Restrung and re-gripped, they now weigh in at 157 grams with a balance point of 34.2 cm and give exactly what I was looking for : a lively frame, with plenty of power, combined with lots of control. You aren’t the only one whom appointed about its balance, but some friends told me of dunlop’s fragility. You know something about it? After a few months of playing with this racket, without top bumper, I can say that the durability for the 2016 model is just fine. While I’ve hit the side wall plenty of times, I’ve had no issues with breakage at all. Gaultier is either playing with this racket now or has had his old racket painted in the style of this one based on the Bellevue livestream. 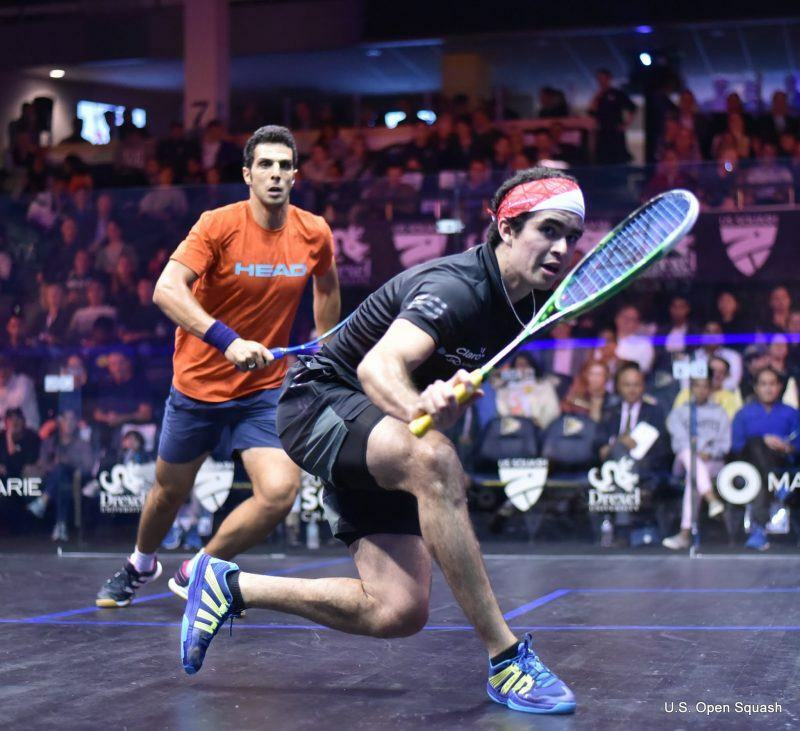 How does this racquet compare to the 2016 Harrow Spark balance and weight wise? 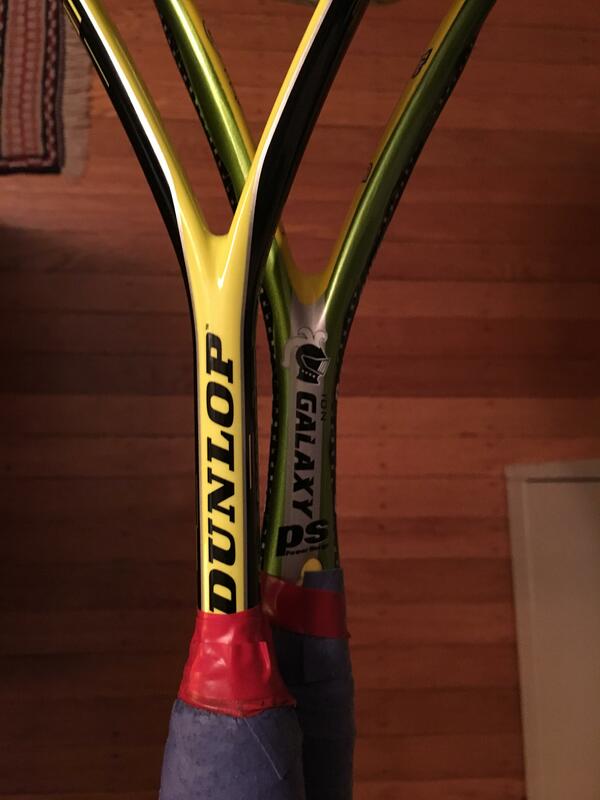 I have played with the Dunlop Force Elite and with the Dunlop Elite GTS side by side and they appear to be the exact same racket but with different paint jobs. 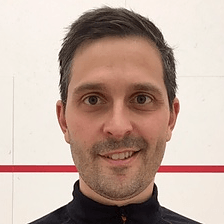 Its interesting to note that one of my Dunlop Force Elite rackets developed a lengthening crack down the V of the throat very similar to what “Nick” reported on Sept 5 2017 further down on this page. When I compared this Force Elite with a crack to my other undamaged Force Elite, it played much differently because of the crack…much more flex and much less control. I suspect that Dunlop Force Elite and Biofibre Elite are same racket except for different paint jobs. I think the difference that Nick reported between the 2 rackets on Sept 5 is due to the crack in the Force Elite he was using. Interesting, Diego Elias, who plays with the Precision Elite, just replaced a racket in a match (Motor City Open 2018 vs Campbell Grayson, game 5) while pointing at the ‘V”, saying it was broken. I’ve not had any further issues since I started putting tape around the base of the V, first to try to hold the original broken racket together, then as a way of identifying them. Maybe it just adds a bit of support to this seemingly (slightly) fragile area. That’s interesting to hear. I played with a Dunlop Precision Elite and had the exact same problem of the crack down the V of the neck. None of the people at my club said they’d ever seen it before. I had it in the end with about half the rackets I had. I’ve got one now on a HF Evolution Pro too (even with tape), although it’s not as straight as the ones on the Elite so it could be caused by something different. Doesn’t seem to have any affect on the feel of the racket from what I can tell. I never got to try the CX so I am not sure. Hopefully the CX fans out there can weigh in on this. Is there any difference between Elite GTS and Precision Elite or is it just a new paint job? For me, the biggest difference was that I felt more power from my Biomimetic Elite, but also much more vibration. In hand, Precision felt stranger to me, maybe a tiny bit more head heavy, but that might just by a feeling. 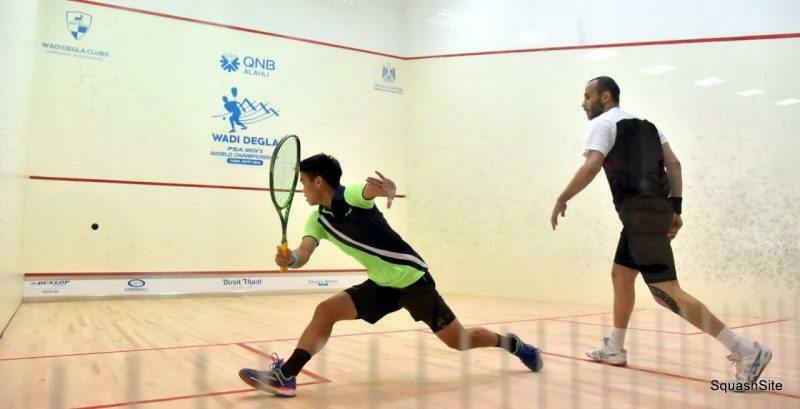 He was also sporting factory strings and grip, whereas I have strung my racket with ashaway supernick zx (orange) strung at 9kg. I have also an overgrip there. That all being said, my opponent was much more precise with Precision Elite (coincidence? ), but I found no difference in precision. Over grip would change the balance and different strings at different tension would obviously make them play differently. Even when I have 2 of the exact same rackets with same strings at same tension, same overgrip, due to variations in manufacturing, one of the rackets will feel better than the other. Anyway, I still suspect that they are same racket except for paint. Biofibre Elite? New Dunlop series? I think the Biofibre Elite and Ultimate are exclusive to Sportsdirect and replace the Force Elite/Ultimate with a new cosmetic. Probably the exact same rackets as the Force and the previous Elite/Ultimate GTS. BTW does Sportsdirect own Dunlop sports nowadays, I think I heard it somewhere? I previously got into using the Force Elites earlier this year, and have been fairly happy (especially for the price), but as one has got a lengthening crack down the V of the throat and needs restringing I picked up a Biofibre Elite out of curiosity as a backup. I had a hit this evening to compare my spare Force Elite (Ashaway ZX Micro), against the Biofibre Elite. The difference was pretty surprising. The Biofibre Elite felt much smoother when hitting and gave me much more confidence and felt more powerful. I spent several minutes just enjoying knocking the a ball around and going for nicks. I don’t remember the Force Elites having this feeling at all, before or after restringing. I hadn’t realised how much you feel the impact with the Force Elite (I wouldn’t call it a vibration necessarily), but it’s noticeable harsher on impact when compared to the Biofibre Elite. I’d liken it to the difference between hitting something with a stiff plastic pole and a wooden broomstick. I’m not sure whether it’s the thin strings I have in the Force Elite that exacerbate this, but the cracked racket is being re-strung anyway with a cheap string that should be fairly similar to the Dunlop X-Life so that should give a better comparison. The Force Elite is currently £45 online and in some SportsDirect stores and the Biofibre Elite at £60, but I would definitely buy another Biofibre instead. I had thought about moving away from the Force Elites, perhaps to the Precision Pro, looking for a little more control and confidence, but I may have found it. The Biofibre Elite is slightly head heavier (comparing balance points), but this might be down to the thicker string. 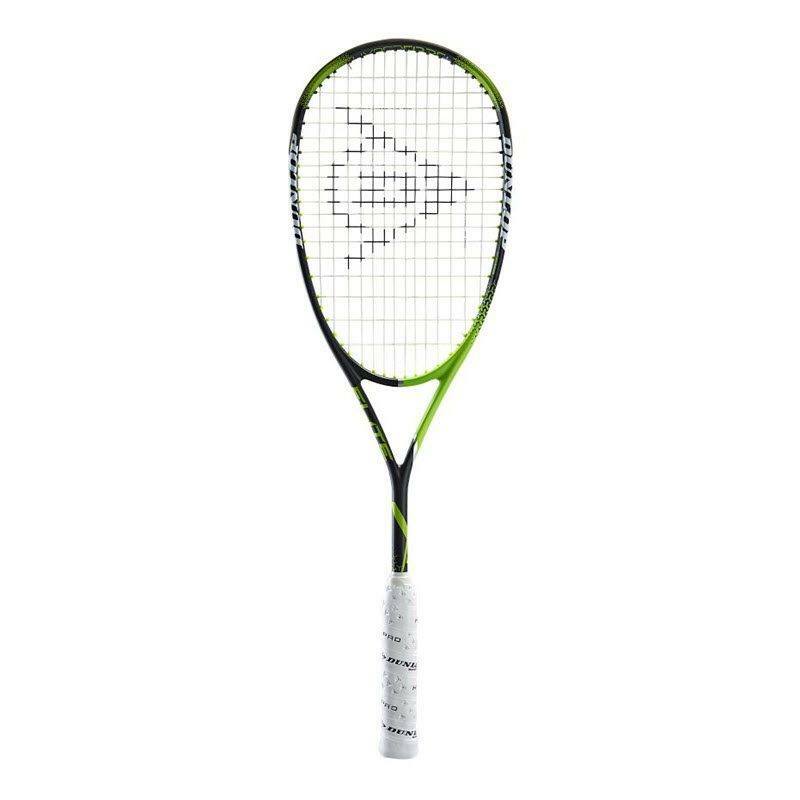 I would like to know if this racket has vibration because I am interested in buying it but I am concerned about the vibration. re the handle I customise my own before using , a few strips of gas tape to create the handle shape of the original grays light blue wooden racquet. Thanks John. When you say it’s only lasting 2 weeks, is it breaking often or you just restring it to get the tension and feel right? 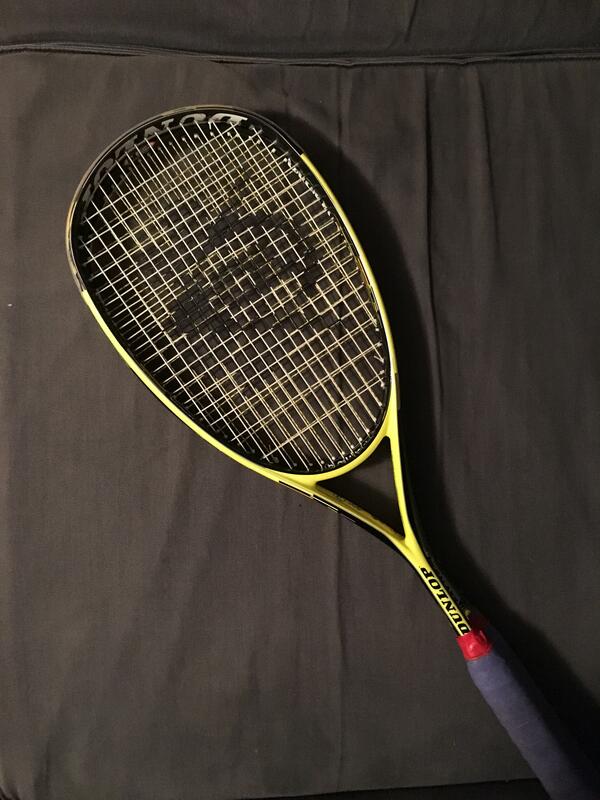 It was the Dunlop Muscle Weave Custom Elite that came with 3 interchangeable handles (Head Heavy, Even and head light) I had one back in the day and spent more time changing around than actually playing with it. Too much faffing!! Bit late in response but only have just come across your site! How do the Dunlop Elite and the Ultimate compare to Black Knight’s larger (500cm), traditionally shaped models, the Galaxy and the Radium? I haven’t used the Galaxy PS in a little while but I remember it as very lively, more powerful, whereas the Ultimate is softer, more control-oriented. Yes that is correct Pierre. Greg, Beng Hee and probably Shabs had the same racket from way back then. It has a customisable handle. I actually have one — painted lizard green (the first Elite model that was green). I would post a picture but not sure how. The stringing pattern gives it away as well as the sharp ‘corner’ where the handle meets the shaft. A breakdown on the racket specifications of Gaultier’s REAL racket would be cool. He seams to just have a different paint job to match the latest model he endorses. A close look at his racket reveals a customised handle, and most likely a customised racket.